Check out our NEWEST resources! To the tippy-tip-tip of each toe. Because God loves you, He wants you to get to know Him, learn to trust Him, and become best friends forever and always. Come on along with Tommy, Keesha, Marco, and Su--who also want to be God's friends--as they hunt for four very important keys. Each time they find a key, they discover more about God and His wonderful plan. This great adventure leads to the most amazing gift, and it's waiting just for you at the end of the story! Based on the Four Spiritual Laws by Bill Bright. Copyright 2015 Bright Media Foundation. The most important thing you can teach your children is who God really is. Their understanding of God will influence every decision they make. Because God Is Awesome! 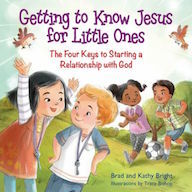 joins Bill Bright's profound teaching on God's attributes with easy-to-understand language and colorful artwork, bringing you a powerful--and fun!--book for the whole family! "Dad's view of God empowered him to change the world. Our prayer is that the children you love will catch the powerful truth of our awesome God and that they too will become world changers." -Brad and Kathy Bright, authors of Because God Is Awesome! 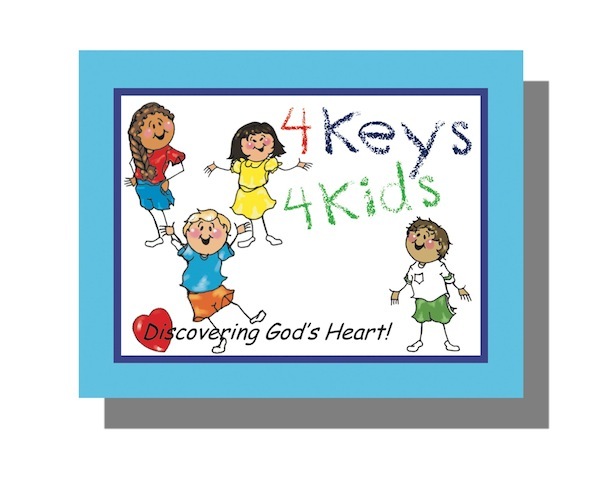 The 4Keys 4Kids is designed with elementary age children in mind! The engaging pictures and easy to understand wording make this booklet a valuable tool for evangelism and discipleship with the kids in your sphere of influence. Based on The Four Spiritual Laws by Bill Bright. 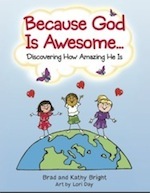 These and all Discover God 4Kids resources can also be viewed and purchased at the Discover God store. Note to Cru Staff ordering DG4Kids resources: Staff pricing on products is generally 30% off the online prices listed. To receive your staff discount, please place your order by phone or email. Staff account transfers are also accepted.